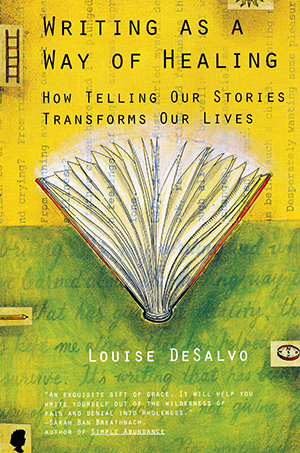 In this inspiring book, based on her twenty years of research, highly acclaimed author and teacher Louise DeSalvo reveals the healing power of writing. DeSalvo shows how anyone can use writing as a way to heal the emotional and physical wounds that are an inevitable part of life. Contrary to what most self-help books claim, just writing won’t help you; in fact, there’s abundant evidence that the wrong kind of writing can be damaging. DeSalvo’s program is based on the best available and most recent scientific studies about the efficacy of using writing as a restorative tool. With insight and wit, she illuminates how writers, from Virginia Woolf to Henry Miller to Audre Lorde to Isabel Allende, have been transformed by the writing process. Writing as a Way of Healing includes valuable advice and practical techniques to guide and inspire both experienced and beginning writers.